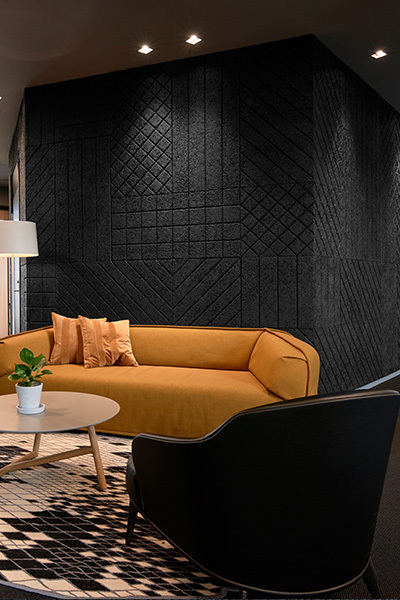 Scenario Interior Architects talk about their sleek black BAUX designs for the law firm, SANDS. 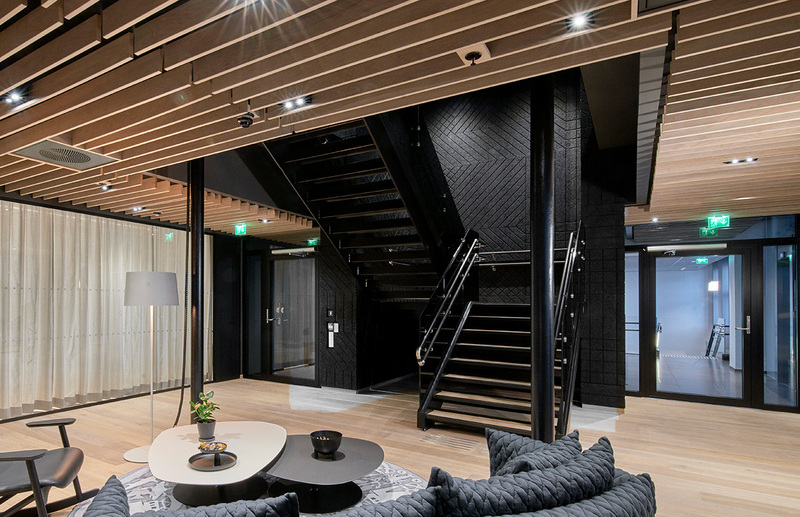 SANDS are now one of Norway’s biggest law firms and they asked us to renovate two buildings in Oslo, which would become one central office. We were looking for something that had the same textural qualities as burnt wood; a suitable material to transition between the buildings. We ended up using BAUX designs in the internal meeting rooms and staircases too. 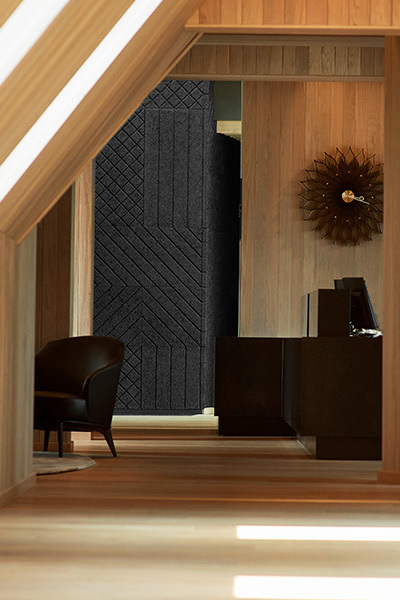 We had been thinking about the interesting textural variation and beauty of burnt wood and black BAUX wood wool tiles were a great match. The black wood wool gave us a similar textural feel to burnt wood. It’s a contrast to the smooth oak and glass surfaces. The form, colour and texture are just really interesting. Each one is a unique piece of art really, which brings a sense of creativity and innovation to the space. The client is very happy and we’ve already started using BAUX in their other offices. See the final results of the SANDS.